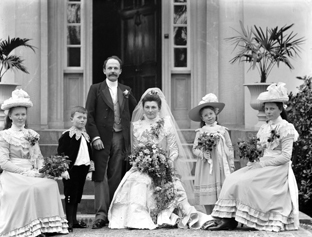 If there's Donegal ancestors in your family tree you'll be glad to hear that today we launch some new Irish marriage records, the Raphoe Marriage Licence Bonds. The Raphoe Marriage Licence Bonds cover the periods from 1710-55 and 1817-30. They are extremely useful for those researching their Irish family history with ancestors from county Donegal. The diocese of Rahpoe consisted of thirty four parishes and covers almost the whole of Co. Donegal bar the Inishowen peninsula (Derry Diocese) and the very south of the county (Clogher Diocese). The original bonds were destroyed in the Public Record Office fire of 1922, consequently all that survives is the index.